As part of the Irish Foodies Cookalongs (I’m a first-timer)I joined in last Friday evening to do a bit of cooking with the theme of Autumn Fruits. Basically this is a Facebook Group that anyone with an interest in food can join and on the first Friday of every month they do a cookalong with a theme. 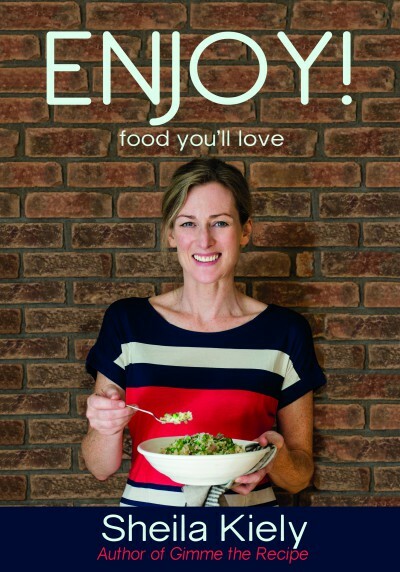 The idea is to tweet as you prep and cook and to do a write-up on your efforts which you then share with the group. Fridays are generally leisurely enough in my house however last Friday was a little bit busier than usual. The twin girls had a camogie final (which they won!) and I was due at a neighbour’s house for a party at the same time as the match. The evening went as follows: kids home from school, kids fed (kinda), prep ‘twooty fruity’ party food, find girls gear for match, drop off food en route to match, win match, return, demuck and unwind at party. I decided to make some savoury pastry parcels with a hit of autumn fruit. I was unsure if Rhubarb qualifies as an autumn fruit and googled to find that it grows in Ireland from April to September so it just about squeezes in there. 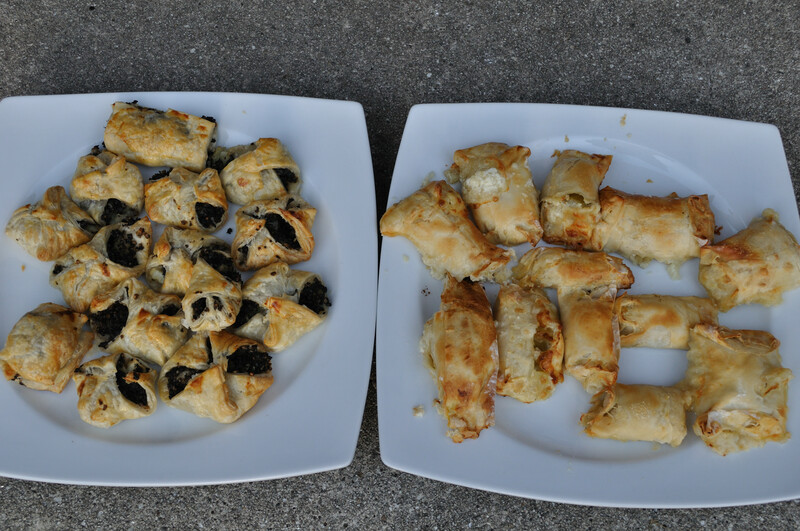 I decided on 1) Black Pudding, Onion & Apple Puff Pastry Parcels and 2)Goats Cheese, Rhubarb, Ginger and Apple Filo Parcels. There is very little cooking involved here as I use shop bought frozen pastry however I have to warn that the assembly is fiddly and takes longer than you would think. Core, peel and chop the apple. Stew the apple in a saucepan with a tbsp of caster sugar and a splash of water until it begins to soften but still has bite. 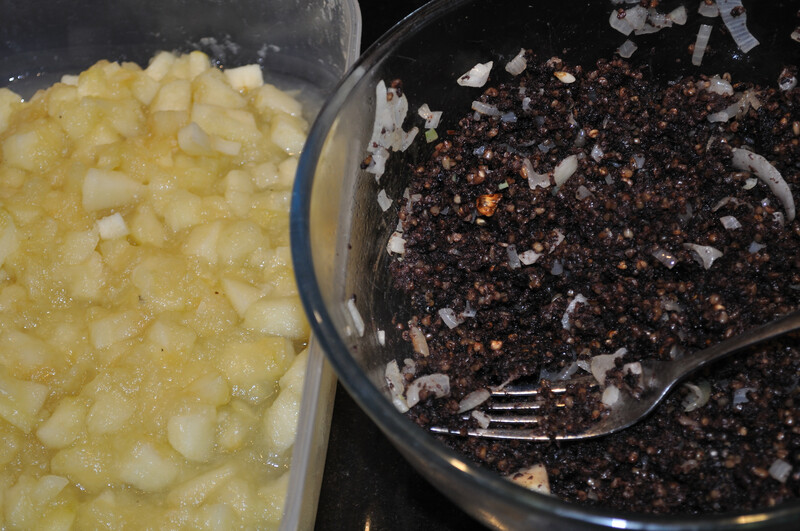 Slice the black pudding into rounds and fry on one side. 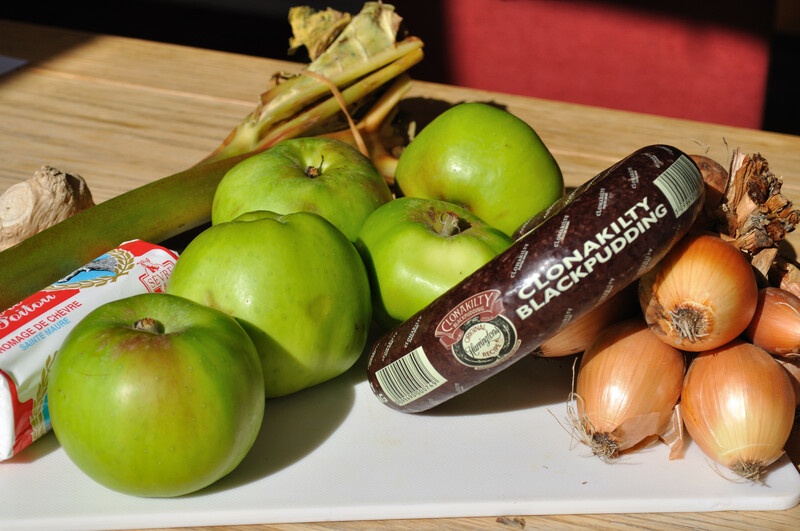 Turn pudding over, add the onion and cook until pudding is cooked. Remove the pudding and onion from the pan and place in a bowl together and mash with a fork. Open up the pastry sheets and use a knife to cut each sheet (there are usually 2 sheets in box) into nine squares. Place a mound of apple on each square and top with a mound of pudding. Beat the egg and use a pastry brush to wet the edges of each parcel. Pull up diagonally opposite corners and stick together with the egg (fiddly bit). Place the parcels on a baking tray and brush over the pastry with more egg..
Cook for approx 20 minutes in the oven until nicely puffed up and brown. Serve warm with a blob of stewed apple on the side. Rinse and slice the rhubarb into small pieces. Stew the rhubarb and ginger in a saucepan with a tbsp of caster sugar and a splash of water until it begins to soften but still has bite. Open up the pastry sheets and use a knife to cut each sheet into 4 squares. Work with one sheet at a time. Place a round of goats cheese on each square, just in from one edge and top with a blob of rhubarb and apple. Roll the pastry like a spring roll and fold in the edges brushing with egg to stick. Place the parcels on a baking tray and brush over the pastry with more egg. Cook for approx 20 minutes in the oven until nicely browned. Serve warm with a blob of stewed rhubarb on the side. Leftovers reheated well the next day so these could be made in advance. Enjoy. 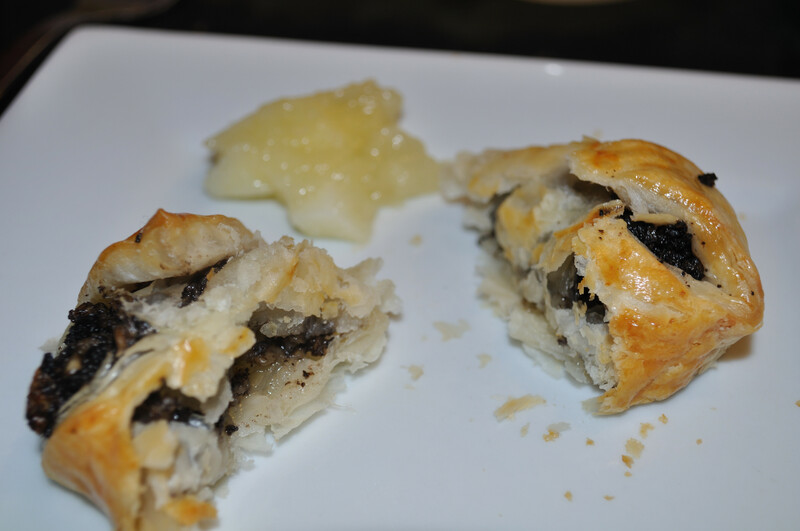 Whats the best way to reheat puff pastry parcels?? 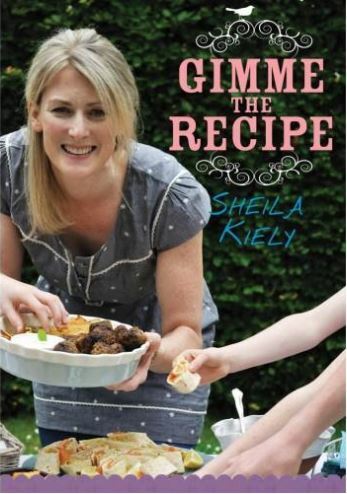 hi Sheila I’m thinking of using your recipe as a Christmas day starter could these be prepared that morning and set aside in fridge or something til ready to bung in oven prior to serving?? If I were doing this for Christmas starter considering all the other jobs you’ll be doing I would do a lot of the prep. for this beforehand. I recommend making the filling the day before and cooling and storing refrigerated in lunchbox. I would assemble the pastry parcels early on Christmas morning with the pre-prepared filling and put on a baking tray in the fridge (not egg-washed yet) until 30 mins or so before cooking (some fridges can be very cold). 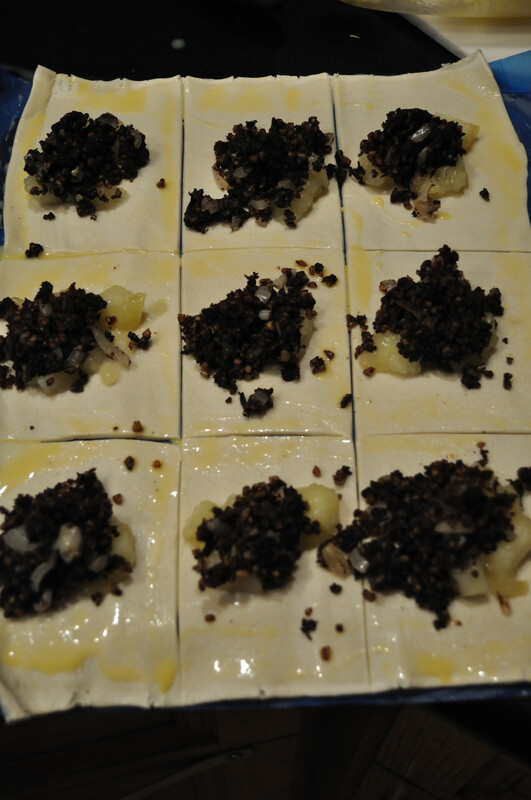 Then egg-wash the outside of the pastry parcels just before they go into hot oven. Oven needs to be pretty hot for crispy pastry. Best of luck! !